Despite the continuing global financial crisis, the cosmetic surgery sector has been relatively unaffected by the downturn. One practice that has consistently posted impressive growth regardless of financial woe is hair loss treatment, which is proving to be a highly lucrative surgical specialty. Initially – and accidentally – the practice was discovered by New York dermatologist Norman Orentreich in the 1950s, though the modern beginnings of hair transplants are often thought of as coinciding with Dr William Rassman’s pioneering work in micro grafting – more commonly termed Follicular Unit Extraction (FUE). Technological advances in follicular hair transplantation have since fuelled the evolution of the practice. As hair transplant procedures have advanced, hair restoration has become a base requirement of the practice, with clients seeking to achieve a state of naturalness above all else. The revised focus has lent itself well to developments in instrument technology and to magnification, each permitting surgeons a greater means of isolating and harvesting follicular units. Aside from the scientific basis to changes in hair loss treatment, the irresolute paradigms of attractiveness and the stigmatism of baldness across differing cultures and time periods are equally defining factors in evolving the practice. The many and extensive revisions to hair loss surgery have effectively brought the practice to the mainstream, having since emerged as a unique and highly coveted specialty among surgeons. New findings and developments populated the industry throughout the 21st century in particular as consumer interest in the procedure increased. The Belgravia Centre attests to a 12 percent rise in the number of surgical hair restoration procedures worldwide between 2006 and 2008 alone. The International Society of Hair Restoration Surgery’s (ISHRS) findings in a 2011 report revealed that the practice has not only weathered the peak of the financial crisis, but has consistently grown throughout. The report extrapolated that the number of hair restoration procedures in 2010 numbered 279,381, up from 11 and 66 percent on 2008 and 2004 respectively. Furthermore, the size of the market is proven to have increased 47.9 percent in the period ranging from 2008 to 2010 – an estimated market size of $1.8bn. Formally accepted into many medical education programmes, hair loss treatment currently represents a comprehensive body of work and a unique surgical discipline. Many who specialise in the practice do away with alternative means of cosmetic surgery and focus solely on hair loss removal. Perhaps best representative of the practice and its current incarnation is Zurich-based hair transplant specialist HT Clinic, a company seeking to advance the industry, in which its services are already at a world-leading standard. Speaking of the recent advancements in hair transplant procedures, master surgeon at HT Clinic, Dimitrios Karoutis, claims that: “Since the 1980s, developments in follicular hair transplants have allowed those affected a remarkably effective solution to hair loss problems. Throughout our 30 years of experience in the industry, we at HT Clinic have persistently scoured the market in search of new and innovative opportunities at better rectifying the problem, the likes of which have proven successful in distinguishing our services from our competitors. 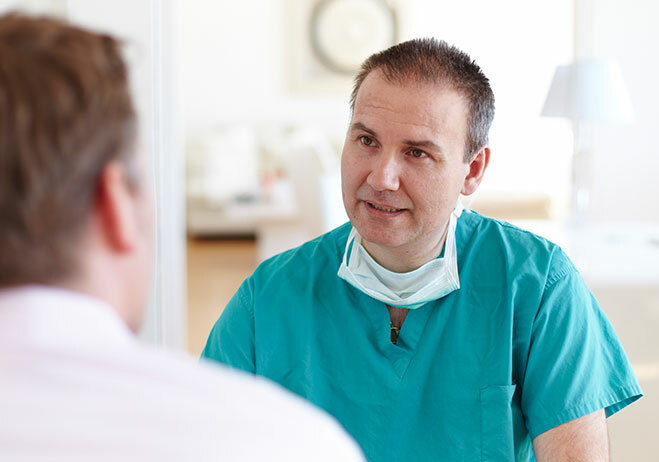 Most common of hair transplant procedures is FUE, the likes of which entail the extraction of individual follicular units, each containing a small number of hairs. Under anesthesia, the patient’s follicles are then transferred to tiny recipient sites, leaving little-to-no scarring or pain, and with the recovery period often spanning little over a week. HT Clinic is perhaps best known for its pioneering role in the development of the SLC FENDI technique: a revolutionary hair transplant method wherein a surgeon extracts hair follicles from the nape of the neck and ensures swift, trauma-free and natural results without the use of either a knife or scalpel – thereby ensuring the absence of stitching or searing. Aside from the painlessness of the procedure, the SLC FENDI technique yields a 90-95 percent hair regrowth on completion – far in excess of alternative treatments. All of the clinic’s surgeons are highly specialised doctors, each possessing micro-surgical skills and years of experience in the sector. HT Clinic understand that the quality of its service is largely determined by the quality of its surgeons, and so seeks to attract the best practitioners in the industry. “We’re extremely proud of the quality of our work, though far from satisfied we’re ever-striving to advance our offerings whether it is by developing our instrument technology or in bettering our knowledge of the market,” says Karoutis.